HP, the spun-off printer and PC division of the technology powerhouse, doubled down on the small-format distributed printing device market, acquiring Samsung’s printer division. 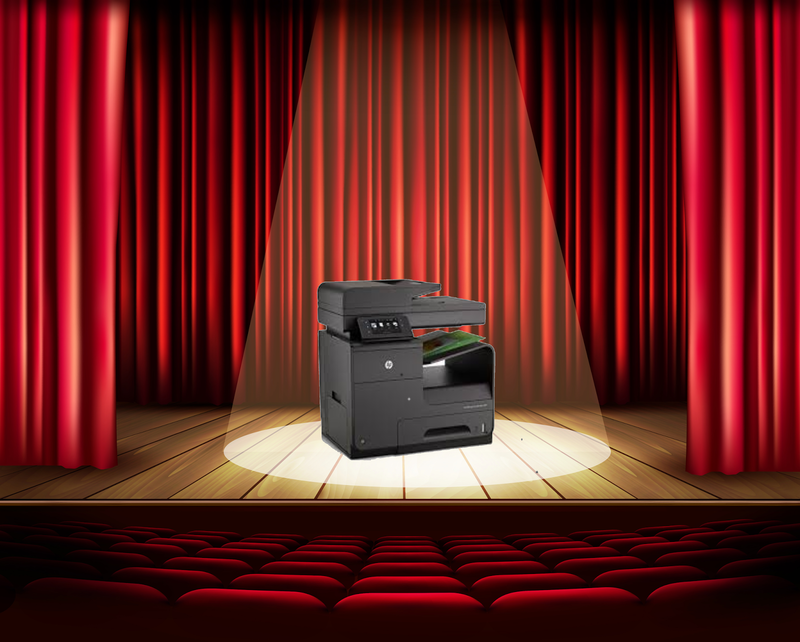 The acquisition is HP’s play to stay dominant in the market for office printing devices, squarely in direct competition with Xerox, Canon, Epson and Brother in the $55 billion market for office printing devices. These machines that can quickly print multiple copies in networked office environments are often installed and maintained by outside service organizations known as Managed Print Service (aka “MPS”) companies. Viewed as distinct from the $80+ billion printing industry, these companies compete on a per-page cost basis, maintaining fleets of multi-function printers installed at their customers’ offices. Known as “MFP” devices, the machines scan, copy, fax, email PDF’s, and yes, also print on paper. For large corporate customers, the MPS companies will retain ownership of the machines and provide onsite staffing to operate and maintain corporate in-house print centers, as well deploy MFP’s distributed throughout the customer’s facility. As we adjust to reading just about everything on digital devices (we suppose millennials are leading the way), shipments of MFP printing devices and supplies have been declining. According to industry research firm International Data Corporation, HP had 36% of the market for printers, but also had the largest decline year-over-year, compared to competitors, an 18.6% decline in the first quarter of 2016. The acquisition of Samsung’s printing business changes the calculus of the decline and will keep HP clearly in the lead if it can execute the integration. With the addition of more than 6,500 technology patents, 1,300 research and development engineers, and thousands of sales, support staff and manufacturing employees, HP gains Samsung’s laser-toner expertise, and of critical importance, cutting-edge inkjet technology. Added to the success of the HP Indigo digital printing devices in the commercial printing and packaging industry, and the PageWide web presses in the direct mail and transactional printing segments, it’s clear that HP is betting that paper-based communications will be good business. Private equity has taken note of the MPS business. San Francisco-based Oval Partners announced the acquisition of Laser Options in Phoenix, Arizona. Laser Options sells and maintains copiers, printers and document management solutions to corporate customers in the Southwest. This is the second acquisition for Oval Partners in the MPS segment, having acquired FlexPrint as its platform company in the MPS business earlier this year (see The Target Report – January 2016). Ink is in. A major player in the global ink industry, Luxembourg-based Flint Group, announced the purchase of Printec, a manufacturer of water-based inks for flexo and gravure printers, primarily used to print paper cups and plates, folding cartons and other specialty applications. With backing from Goldman Sachs Merchant Banking Division and Koch Industries, the Flint Group has been an active acquirer of ink manufacturers and other supplies to the printing and related industries. In a somewhat surprising move last year, Flint got into the digital printing equipment business, acquiring press manufacturer Xeikon. Looked at another way, however, the acquisition brings two decades’ development of toner-based technology to the Flint Group, a company that has traditionally sold the blades, not the razors. The technology and foothold in the digital printing segment may position the company as a potential supplier of consumables to the growing digital printing industry. We won’t be surprised if future acquisitions by Flint focus on toner and inkjet supplies. Avery Dennison, supplier of label and wide format substrates, added to its depth of products in the inkjet printing market with the acquisition of Ink Mill, a manufacturer of solvent-based, water-based and UV-curable inks for digital inkjet printing devices. Apex Revenue Technologies, a portfolio company of WestView Capital Partners that manages healthcare billing and collections, acquired LetterLogic. The acquired company, based in Nashville, Tennessee, is a transactional printing and lettershop company focused solely on serving the healthcare industry. Printing companies are now often also purveyors of promotional items, especially in the commercial printing segment where traditional job-shop printers seek to transition to more broadly-defined marketing service providers. The business of selling promotional items was once the domain of small, mostly local, companies with independent salespersons that lugged around catalogs displaying printed pens, coffee cups, gadgets, and all sorts of tchotchkes. At least one big player is paying attention. Deluxe Corporation, a dominant printer in the rapidly shrinking business of printing paper checks (you remember checks, that paper device you once used to pay bills). Through its Safeguard division, a business forms printer (you remember forms, that paper device that folks used pens to write on), Deluxe has been building out a promotional items juggernaut, utilizing its network of sales representatives to offer online marketing, design services, promotional products, as well as printed products, to small and medium-sized businesses. Deluxe acquired Arizona promotional items distributor and printing broker B&B Solutions in September, and in August, the company purchased InkHead Promotional Products, an online seller of imprinted promotional products. It’s not all roses in the promotional products business, however. Entertainment industry promotional products distributor Clean Fun Promotional Marketing filed Chapter 11 bankruptcy in September, in concert with its parent company Delivery Agent, an online company that connected to hundreds of websites that offered products related to entertainment media, including movies, TV, music and sports. According to the president of Clean Fun, the company has a stalking horse buyer lined up and has asked the bankruptcy court for approval to proceed with a sale process. * Graphic Arts Advisors, publisher of The Target Report, served as advisors to The RedShark Group in this transaction.